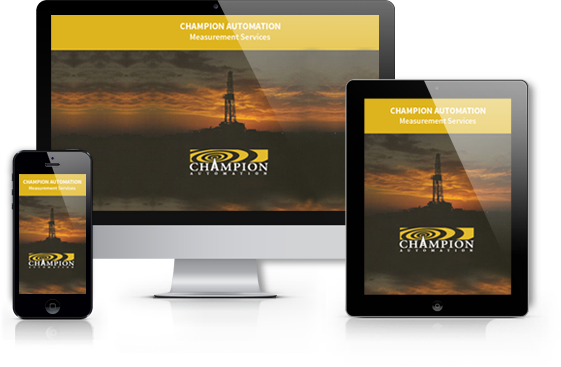 Beginning with the integration of RTU/PLC and instrumentation, Champion Automation’s complete set of services includes automation design and construction, SCADA system design and integration, as well as design and implementation of alarming and reports. We are automation and measurement experts in the oil and gas production industry. Based on the customer’s needs, we sell, service and install automation equipment that increases and optimizes the production of wells. From construction and field services to SCADA server support and hosting, Champion does it all. We can craft custom automation solutions from the ground up or design them to accompany an existing production infrastructure. Our combined industry experience and expertise of technology allows us to create oil and gas automation solutions for any environment, no matter how harsh or remote. Using any smart device, one can access real-time data and receive immediate alerts from your well site, office or anywhere, all from a single, cloud-based platform. Our name is Champion, and our entire organization embraces our name and reputation with every project. We consistently deliver unparalleled results thanks to our quality work, commitment to safety, reliable service and industry experience. Champion sets the standard for field automation. Our superior work, exceptional customer service and versatility set us apart from the competition. At Champion, safety is more than a buzzword. No matter where we are, we take responsibility for ourselves, our customers and those we are working around. Champion strives to have a local presence. When we say we’ll be there, we’ll be there, so you can count on us to assist you during every step of the process and beyond. Champion’s team boasts decades of combined experience in SCADA software development, lease operation, electrical services, and production supervision. The oil and gas industry may be unpredictable, but your production doesn’t have to be. Champion’s automation equipment helps ensure optimal accuracy, safety and performance, no matter the weather, environment or location. Securely access up-to-the-minute data anytime, anywhere, on all devices. All of these benefits help INCREASE YOUR BOTTOM LINE.